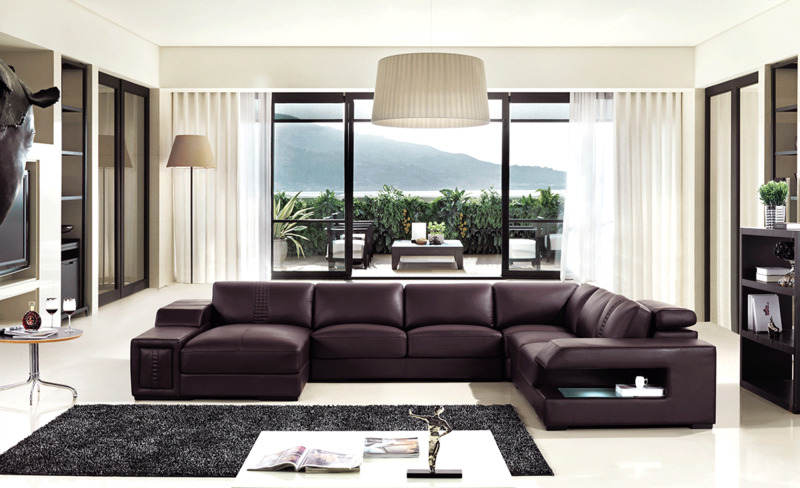 Sofa with light: W76" x D43" x H28/H38"
Corner: W43" x D43" x H28/38"
2 Seater: W59" x D43" x H28"
Chaise with shelf: W77" x D47" x H28/H38"
Divani Casa T132 large sectional sofa offers spacious u-shape contemporary design with plenty of room to relax. 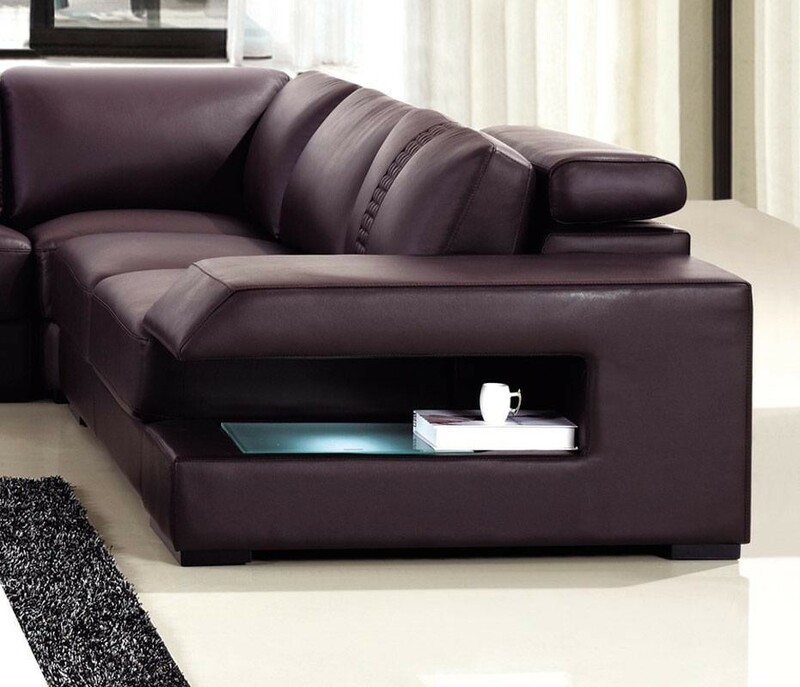 Upholstered in a brown color leather featuring shelf in the arm along with LED lighting. Made in Italy by Divani Casa this four piece luxurious sectional will bring more comfort and style to your living room. 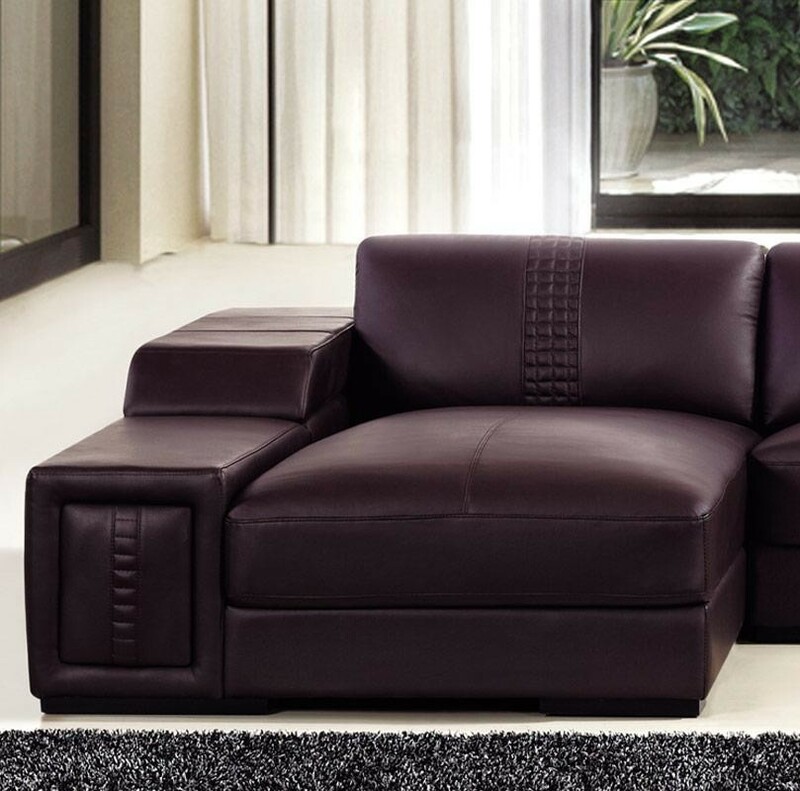 It can be ordered in high quality bonded or genuine leather.